October 25, 2018 6:06 pm. Brent Thomson gets a little extra spring in his step around Cox Plate time. Thomson rode four Cox Plate winners during the 1970s, making him one of the most sought-after jockeys in world racing as he eventually secured an overseas contract. In his time abroad one of the best horses he partnered was the Sheikh Mohammed-owned Sure Blade, carrying the famous Darley colours in the pre-Godolphin days. “He beat Green Desert in his maiden at Newmarket then went straight to Royal Ascot and won the Coventry Stakes,” Thomson said. The last of Thomson’s Cox Plate victories came aboard Dulcify in 1979, the best horse he rode in Australia and one he claims would have held his own on foreign soil. His other Cox Plate wins came on Fury’s Order (1975), Family Of Man (1977) and So Called (1978). Dulcify won his Cox Plate by seven lengths before that was equalled by Sunline in 2000. 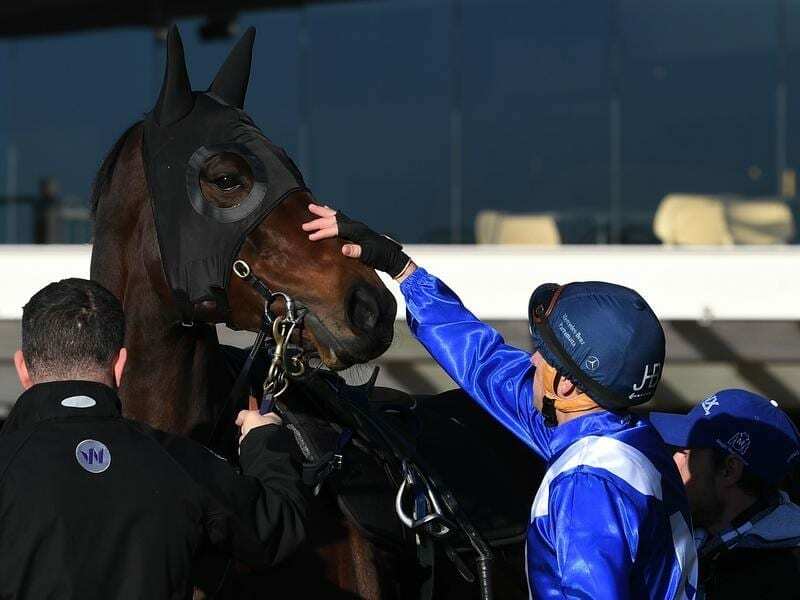 Winx went on to eclipse that in 2016, winning by eight lengths. Thomson marvels at Winx’s exploits but in an imaginary Cox Plate he says Dulcify would be his choice of rides. “He had an explosive turn of speed and that wins these high-class races,” Thomson said. “It’s all purely hypothetical but from 1979 to this period of time you can only go on that feel and he had that quality. “I’m in awe of Winx. I love watching her, however I’d be happy to ride Dulcify. To mark the rider’s Cox Plate achievements, The Moonee Valley Racing Club will award the Brent Thomson Jockey Challenge to the leading rider over the 18 races during the two-day Cox Plate meeting. The rider who accumulates the most points, on a three, two, one basis, wins a $10,000 jewellery voucher and a silver-plated whip valued at $2000. “It’s a great honour and I’m delighted to be involved,” he said.